Yes, there will be no more sloshing through blizzards or single digit temperatures after this year. 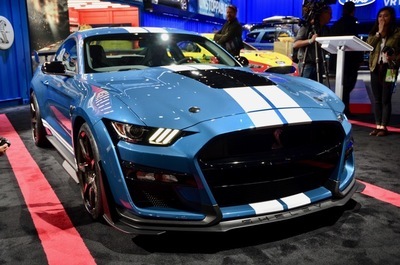 Beginning in 2020 the Detroit Auto Show, the North American International Auto Show (NAIAS), that is, will take place in June. 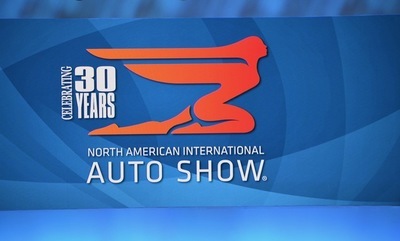 This last winter show, the 2019 edition which happens to be the 30th anniversary of it as the NAIAS, has some people cheering and some feeling melancholy. As media previews unfolded the attending press corp was happy that temps were mild for January in Detroit and there was no snow on the ground. Of course, Murphy’s Law being what it is “What can go wrong, will go wrong” had its way with a major water main break in Detroit’s aging infrastructure. However the show was unfazed in spite of a boil-water advisory. Safe drinking water was plentiful in bottles, show-floor baristas made coffee, espresso and lattes, restrooms functioned and out-of-town media in hotels still had hot water for showers. Cadillac unveiled its new XT6 3-row SUV in an advance Sunday eve press conference, that, in spite of it being on the official auto show schedule, was by invitation only. Curious! I awoke that Sunday morning to a press release and lots of XT6 photos from Cadillac. Why go to see what you already have seen? Well, I expected Cadillac would show more that eve. 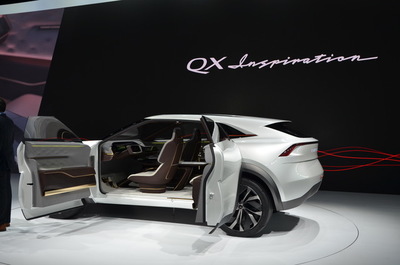 And they did, with a digital presentation of renderings of a conceptual all-electric SUV for some time in the future. NACTOY winners were not a surprise to me, save one. Many expected the Genesis G70 to win car, and it did by a wide voting margin. We also expected RAM to win pickup over the two GM entries, and it too won by a very wide margin. The SUV winner is the Hyundai Kona/Kona EV beating out by a slim margin the Jaguar I-Pace, my expected winner. We knew in advance this last winter-show was not going to be too exciting. About a dozen car makers, most of them European brands, were not even exhibiting. It was expected by many that Chevrolet would break-cover on the new mid-engine Corvette C8. However, weeks prior to the show Chevrolet said that development issues with the C8's hybrid power train electrical system would cause a six month delay. We are now expecting an introduction later this year at special event not associated with an auto show (Also curious timing). The top two vehicles at the show, rightfully recognized with awards from Eyes on Design, are the 2020 Ford Mustang Shelby GT500 as Best Production Vehicle and the Infiniti QX Inspiration concept as Best Concept Vehicle. I can’t disagree. The Lexus LC Convertible concept is beautiful. Build it. 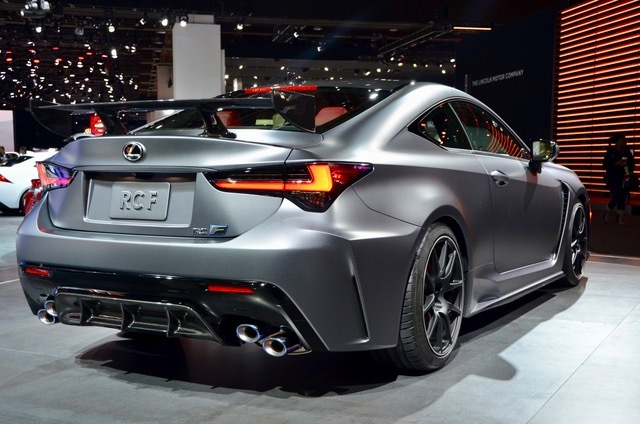 The Lexus RC F Track Edition is begging for warm dry weather. Sister-brand Toyota finally brought back the Supra. It’s “Lit”, according to the Toyota chairman’s son. Nissan’s IMs Intelligent Mobility sedan concept vehicle anticipates the future of electric power, automated driving and performance vehicles in a single model. It is indeed wonderful to see. I note here we are seeing more and more coach-door applications. Will this be the design trend in battery powered autonomous vehicles intended for use in ride-sharing fleets? Sedans are still a market. 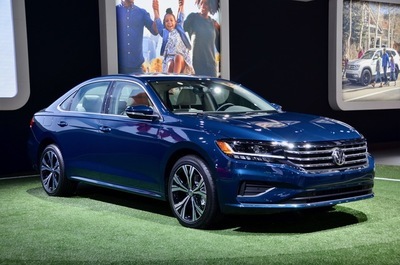 VW introduced its new Passat with more tech and a bolder, more coupe-like design. Hyundai is going racing with the Veloster N to bolster its new N-line of performance models. Kia revealed the Telluride SUV with seating for up to eight and a 291-hp 3.8-liter V6. 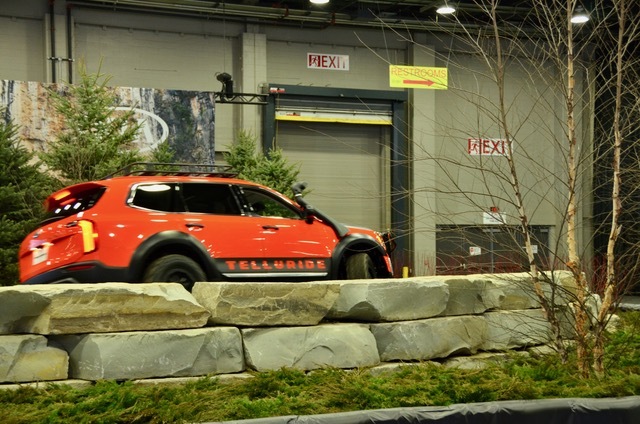 Kia demonstrated the Telluride on its own indoor off-road trail. Chinese maker GAC Motor was back again this year and introduced a three-row, seven-seat concept vehicle called the Entranze EV. The Entranze is an SUV with glass sliding doors and a three-passenger front seat. On the big truck side of things Ram unveiled its heavy-duty 3500 pickup that is offered with a 6.7-liter diesel the develops 1,000 lb.-ft. of torque. That’s 1000; an industry first! It’ll tow 35,100 pounds and has a payload capacity of 7,680 pounds. 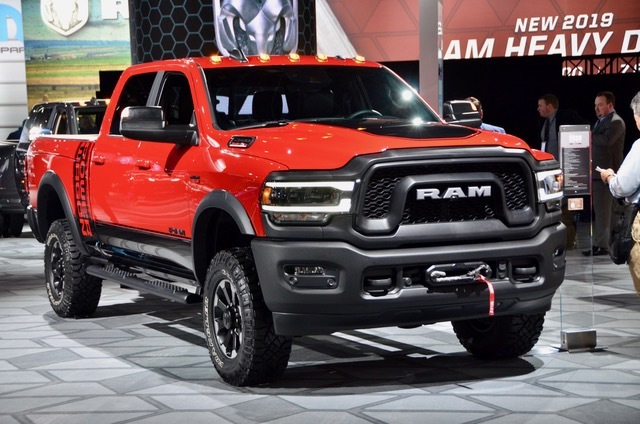 There’s also a new RAM Power Wagon. By the way, Ford did not unveil the new Bronco, as many of the auto media were praying for. To some the show was a disappointment. The concept cars and dramatic reveals of thirty or twenty year ago were not to be found. 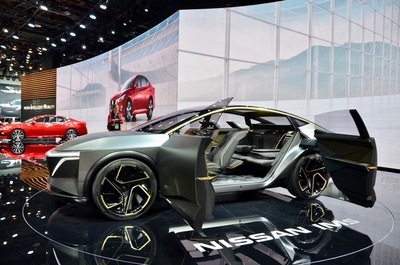 And now we wait for June 8, 2020 for the next big iteration of the Detroit Auto Show, the NAIAS. The show will still be at Cobo Center but will add experiential and interactive displays located outdoors in various nearby locations. 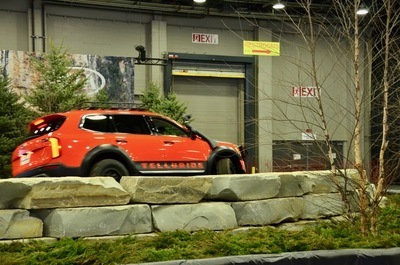 Giving consumers the opportunity to take demonstration rides in new vehicles at auto shows has been a growing trend and this couldn’t happen in Detroit in winter, and Cobo Center isn’t large enough to do it inside. 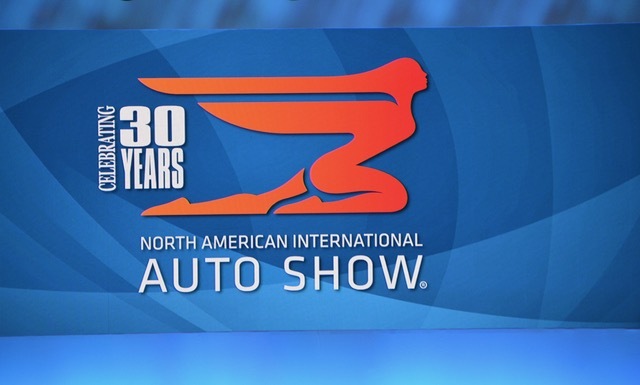 After all, auto shows are for selling cars to consumers, and not for entertaining the press. Coincidentally, the IndyCar Detroit Grand Prix is traditionally held on the first weekend in June. This will be the weekend before the show opens to the public. With press conference media previews usually at the beginning of the week before the show opens, I can see a lengthy visit to Detroit on my calendar so I can be a part of both. I might just be arriving at Cobo Center by boat for press conferences.